Sometimes as parents, we get so busy and stressed living life and caring for our children that we forget that there are companies out there that are here to help and have really helpful products to make getting through each day a little easier! NUK® and Gerber® Graduates® definitely qualifies as those companies that offer really helpful, innovative products to make parenthood just a tad bit easier! 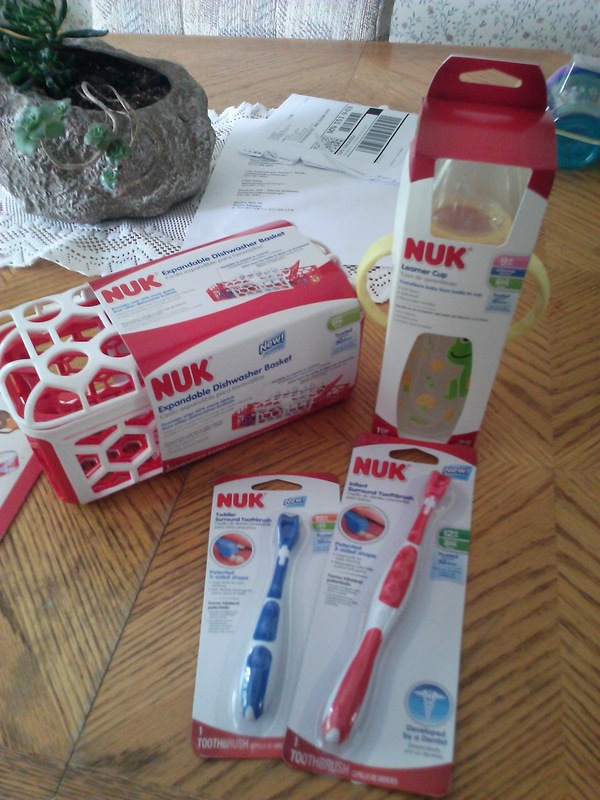 From oral care and development to breastfeeding and bottles, check out (and enter to win!) 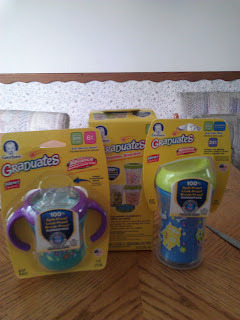 the latest NUK® and Gerber® Graduates® products from 2013 that help "make the stressful time a little less stressful." Backed by extensive research on what pediatric dentists recommend most, we are proud to introduce an improved line of oral care products designed to aid in the healthy development of your child’s teeth and gums. This new line offers several options to help you keep your little one’s mouth clean – from products designed specifically for your newborn’s gums to products designed for your toddler’s developing teeth. NUK® is proud to introduce a brand new line of bottle cleaning products designed for busy moms. These new, innovative products feature new technologies to make cleaning baby items fast & easy. From bottle brushes and dishwasher baskets to innovative new bottle drying solutions, NUK® cleaning products can help simplify your cleaning experience to help free up time for busy moms. 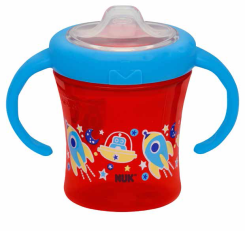 Backed by over 55 years of developing products to foster happy, healthy smiles, NUK® Learner Cups are specifically developed to help your baby easily transition from a bottle or breast to a sippy cup. 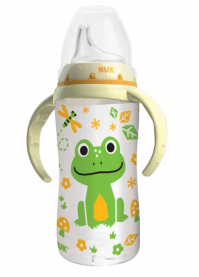 The spill-proof, soft spout is designed to be gentle on gums while teaching baby to drink from a spout. With specially designed easy-grip handles and vibrant, colorful designs, you and your little one will love NUK® Learner Cups. Gerber® Graduates® is proud to introduce a new system of advanced sippy cups to help ease the transition from bottle or breast to cup for your little one. The ergonomic handles combined with vibrant designs make each and every cup a special one. 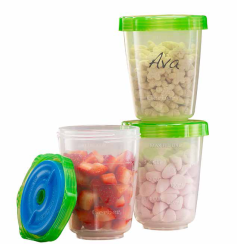 All cups are BPA-free and come in leading designs. They feature Seal Zone™ Technology which guarantees cups are 100% leak-proof, spill-proof, and break-proof. Gerber® Graduates® sippy cups promote safe and independent drinking and are created specifically to support your child’s age-specific development needs. Gerber® has been trusted at baby’s table for more than 80 years. Today, Gerber® Graduates® offers a full line of BPA-free tableware that helps parents teach toddlers how to feed independently which fosters independence and self feeding. Gerber® Graduates® utensils and tableware are designed with little hands in mind. The bowls and plates are thoughtfully engineered to meet the development skill level of your little one. Buy It: You can purchase all NUK and Gerber Graduates products at local retailers like Walmart, Target and many more! 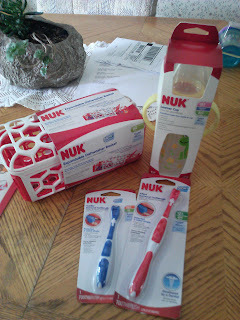 Win It: Little One Books is generously offering: (1) NUK(r) Infant Toothbrush, NUK(r) Toddler Toothbrush, NUK(r) Dishwasher Basket, NUK(r) 10oz Learner Cup, Gerber(r) Graduates(r) Advance Deve lopmental Cups Soft Silicone Spout, Gerber(r) Graduates(r) Advance Developmental Cups Insulated Cup-Like Rim, Gerber(r) Graduates(r) Toddler Snacker to a lucky winner!